Well I wasn’t going to do NaNo. In fact a month or so ago I wasn’t even sure if I would be writing again… period. (You can check out this blog post to see more of that story.) But then I kept seeing all of the NaNoWriMo related posts on all the writing groups I’m in and I decided that I wanted to give it a go. 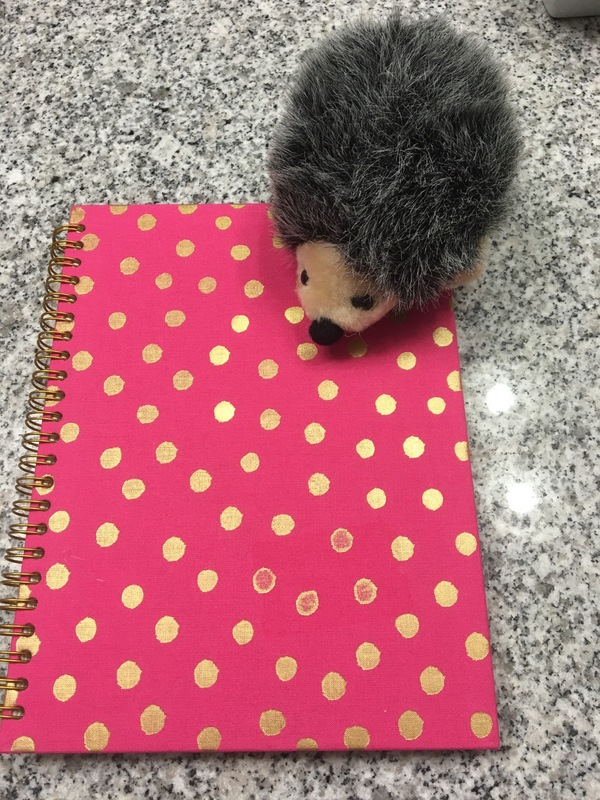 This is the notebook that I’m carrying around with me to write down ideas, snippets, character inspiration etc.. I’m gonna add some cute hedgehog stickers to it as soon and I can get find some I really like. One of the things I loved about Camp NaNo is that I felt completely free of pressure. I didn’t ask my self if it would ever be publishable or worry about what anyone else would think if they were reading it. In fact I didn’t even care if it made sense. Nothing mattered except word count, and that was amazing. A large part of the reason I want to attempt NaNoWriMo is that I’ve had this book that I’ve been wanting to write for a while now. It’s something I know that I will probably never do anything with but I feel like I need to write it, for me. I already know that it’s going to be a little tough to write emotionally but I hope that it will help me to work through some of my anxieties, insecurities, and maybe help me to understand some things better. I’m not sure that I will publicly share any sort of summary, quotes, or character things simply because this story is going to be so personal. Not to mention the fact that I am unusually private about my story ideas in general. Nonetheless, I hope that you will still follow me on my journey to write 50K in a month. Are you attempting NaNoWriMo?If so what is your story about? I am writing memoir called Mohican Forever for NaNoWriMo 2016. That sounds really interesting, best of luck!